On Friday, Park faculty and staff participated in a day long celebration of Applied Learning at Park. 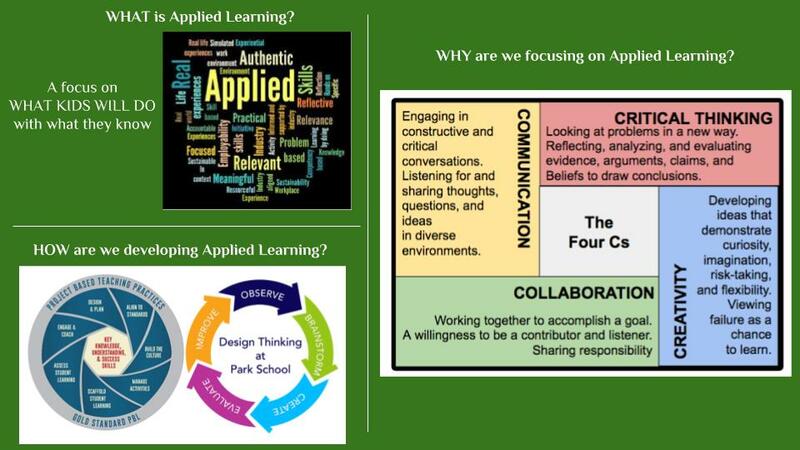 We looked at how project based learning and design thinking facilitate the 4 C’s of 21st Century Learning, so that our curricula focus on what students will do with what they learn. The day was packed full of innovative projects and tools that our teachers are using! 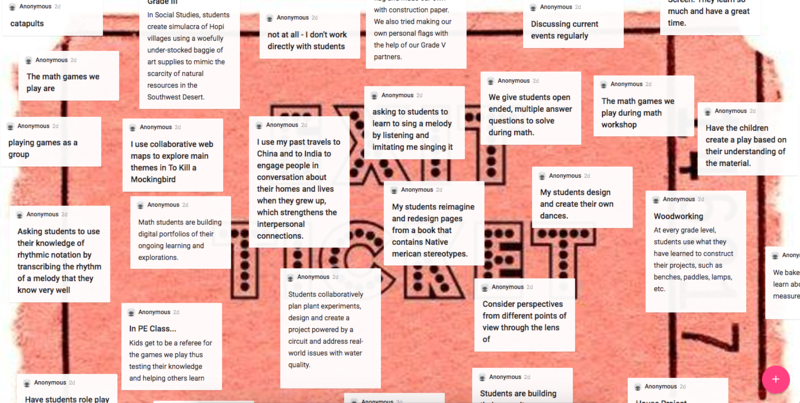 But the highlight was the constant buzz of excited conversations happening between teachers across divisions, grades, and departments: “We should work together on that!” and “How can my grade use that tool too?” These sentiments were heard in hallways and classrooms throughout the day. Many of Park’s applied learning projects were captured in a Padlet at the start of the day: the Immigration Journey Project, kids get to be the referee, discussing current events regularly, learning a melody by listening and imitating, students reimagine and redesign pages of a book….the list goes on and on…. Without a doubt, this year’s Professional Celebration Day provided faculty and staff with opportunity to engage in the 4C’s of 21st Century Learning: communication, collaboration, creativity, critical thinking…and lots of Park pride!